A. Please read this manual carefully before applying power on the device. B. Do not use this device for military or medical purpose as they are not designed to. 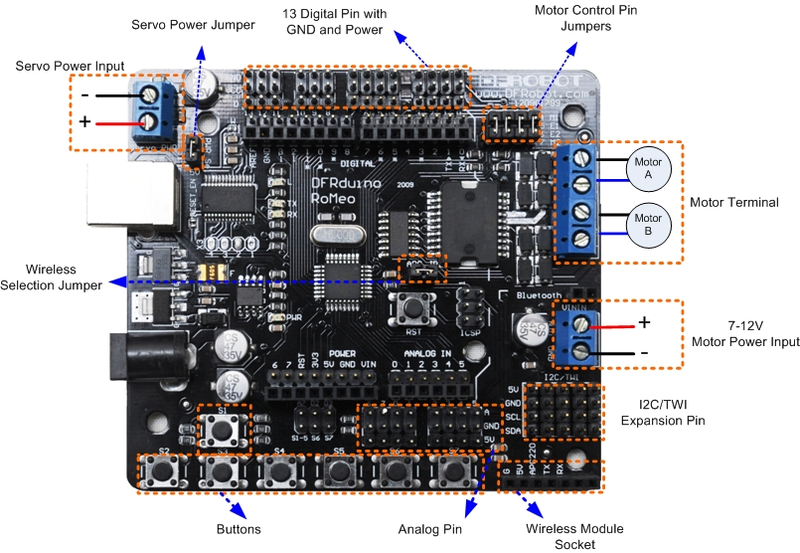 RoMeo can be programmed by Arduino IDE 0014 and above version. 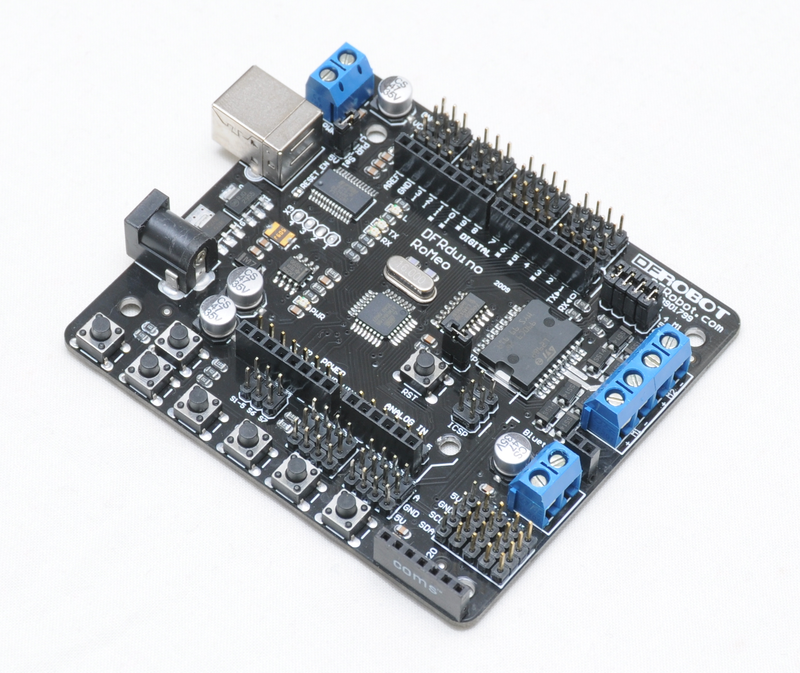 It can be downloaded at http://arduino.cc/en/Main/Software, Please select “Arduino Duemilanove w/ATMega328” as the hardware. 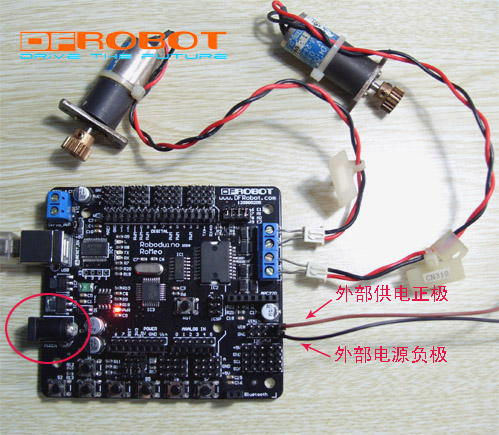 As most servo draw more current than the USB power source can supply. 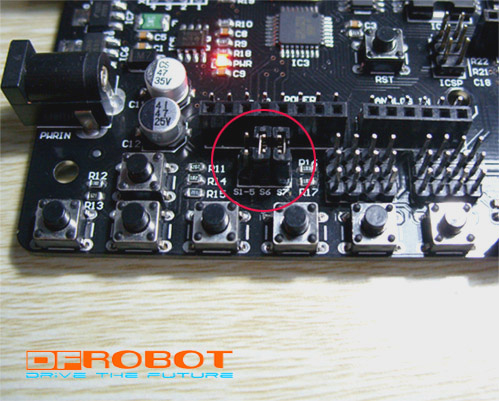 A separate servo power terminal is provided to power the servo individually which can be Enable/Disable by the Servo Power Select Jumper. Removing the jumpers will release the above Pins. Applying the Wireless Select Jumper will allow the Romeo communicate via its wireless module such as APC220 and DF-Bluetooth module. 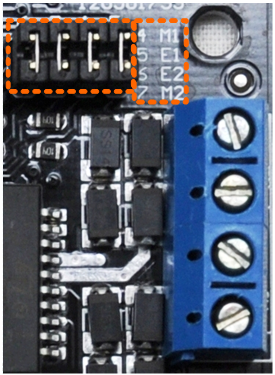 If no wireless module is plugged, this jumper does not make any difference. Removing the jumper will disable wireless module and allows the sketch to be uploaded. RoMeo has 7 build in buttons S1-S7 (Figure 2). S1-S5 use analog input 7, S6,S7 use digital input 2 and 3. To enable S6 and S7, please apply the jumpers indicated in the red circle. S6 uses Digital Pin2, S7 uses Digital Pin3. Once these enable jumpers have been applied, Pin 2 and 3 will be occupied (Figure 3). 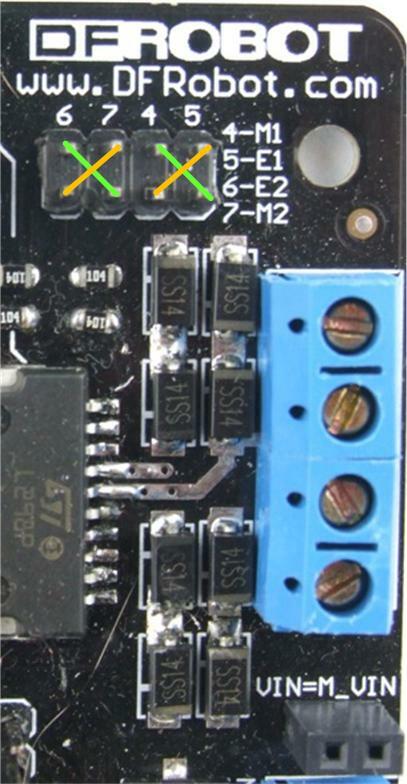 //Code function: Press button S6, turn on LED, Press button S7, turn off LED. The Romeo also support PLLPhase locked loop control mode.